continue reading "How much pie could a pie chucker chuck...."
continue reading "You call that a pie? This is a pie. Jumbucks Pie review"
So when it came to the crunch and there were two Birdseye pies to choose from in the freezer compartment of the local convenience store, there was only one choice for this pierateer – I was going to have to choose them both and give them a thorough taste test! So with a chicken pie in one hand and a steak and kidney pie in the other, I set back to my friend’s house to heat them up and give them a go. They weren’t the largest pies in Britain, so it was well worth eating them both, although this did ramp up the price a bit and place question marks over the cheapness of the pie. 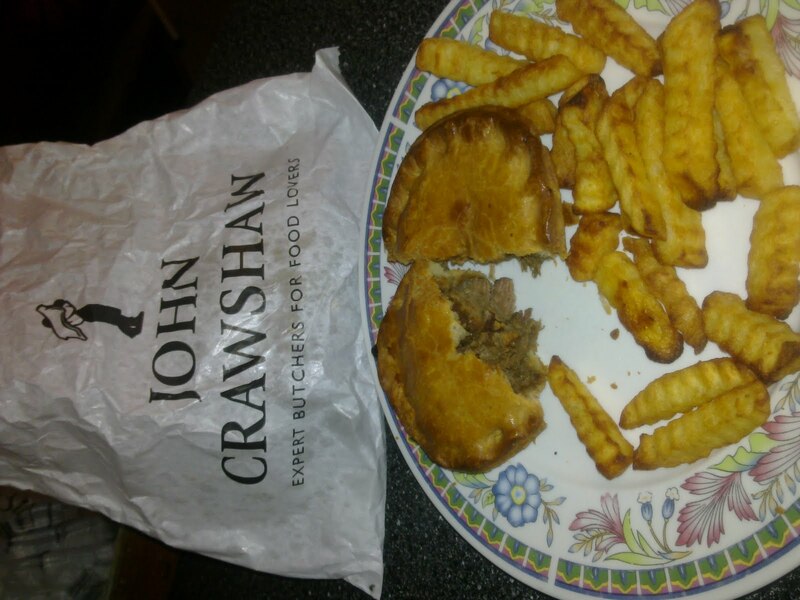 continue reading "Killing two birds(eye pies) with one stone"
After pie loving friends “The Senei” had very kindly brought a John Crawshaw Butcher’s pie all the way back from Sheffield, it didn’t take me long to stick the pie in the oven and have a butchers at it. One of your standard steak pies, the pastry turned a lovely golden colour upon heating up and I was looking forward to a highly recommended pie. And the fact it was straight from the handmade producer, rather than having been caught up in a mass-produced supermarket chain production, only added to the sense of anticipation as I delved in. Would it be worth the mileage to go back and have a butchers at another flavour? Would the pie be a cut above the rest? Well firstly, there is no doubting the meatylicious content of this pie – it is full to the brim with very nice meaty chunks. Top quality meat comes as no surprise straight from a butcher. 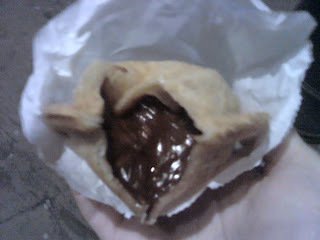 The main downside of this pie is that the pastry was a bit dry and there was not really any gravy – certainly no liquid gravy oozing from the pie as you ate it. This may in part be due to heating a pie straight from the butchers stand, but it is a significant downside to the pie as a whole. While I had the facilities to make some additional gravy to go with the pie as I was at home while eating, this is not an ideal situation to find yourself in. It certainly reduces the ‘grab and go’ appeal of this pie. 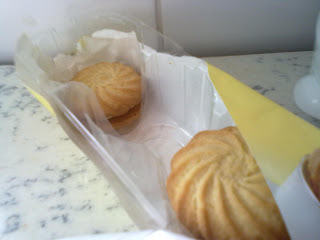 It was however good to know that I wasn’t lining a large supermarket chain’s pocket with the pie purchase (even if, technically speaking, that’s because I didn’t buy the pie in the first place...but good to know the Senei were ‘going local’ in their purchase). For the butcher’s meaty goodness, it gets a good score. continue reading "Not sure about Crawshaw? 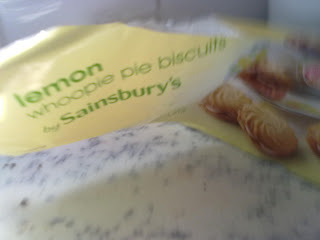 Have a butchers at this then..."
continue reading "These are not pies." Now before you get over excited by the title I am sorry to say that I haven't made an ice cream pie... although now I think of it that would be an excellent idea for a future pierateer adventure.... This review is actually about a pie I purchased from Cadwalader's Ice Cream Cafe in Criccieth, North Wales. Even without the pies on sale this is a lovely place, perched half way up the hill towards the castle in this picturesque coastal town. They sell the best ice creams which have been made in this location since 1927 to a secret recipe, famously made with 6lbs of "shan't tell you". But enough with this twaddle about calories that aren't encased in pastry, I hear you cry! Don't take up our time talking about where you went on holiday. What is this, a documented suicidal canter towards pie related heart disease disguised as a pie blog or another tedious travel guide telling us about how everything is so fantastic everywhere that your not? Next we will be telling you the only way to get to Ulaanbaator is by pogo stick and the fermented yak's milk you have when you get there tastes so much better if you stick the straw up your nose. Anyway, I have digressed far too much, so I will compensate by cutting right to the chase. 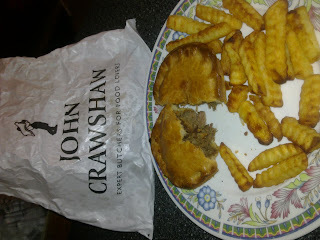 This is a fantastic pie, especially for the price which came in at something like £1.50. The pastry was solid which made it especially portable. Handy to handle if you want to take it down to the nearby beach. This didn't detract from the taste, which was as golden delicious as it looked. 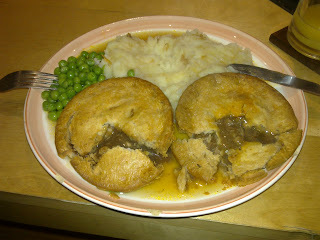 The meat was tender and the gravy had a viscosity nigh on perfection. Cadwalader's pride themselves in making their own products and using local ingredients wherever possible and it shows. Fantastic, I just need them to open up a cafe nearer to home now. continue reading "I scream, you scream, pie-ce cream?"